The centre of one of Switzerland's largest, oldest and best known ski areas. A large town, split in to two (Davos Dorf and Davos Platz), year round tourism/conference centre, world class facilities. Davos has for centuries been a major health centre and today has a hospital and three clinics, four of them specifically for children. When will it snow in Davos? 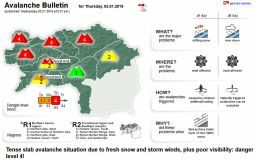 The next notable snow forecast for Davos is 6cm2in, expected on 23 April, with around 7cm3in forecast over the next 7 days. The Swiss Ski Resort of Davos is one of the larger Ski Resorts in Switzerland and has direct access to 320km199 miles of downhill skiing, with 110 marked pistes, served by a total of 38 ski lifts. Davos is directly linked by Ski Lift to the ski areas of Klosters. The ski resort itself is at 1,560m5,118ft, so skiing or boarding back to the resort is usually possible. With ski lifts as high as 2,840m9,318ft, skiing and snowboarding is assured throughout the season. Davos today is the largest and most successful of the first breed of classic ski resorts. Europe's highest town has successfully consolidated its significance in the early years of winter sports by constantly improving its ski area so that it has remained one of the world's best. At the same time developments in the town itself have kept ahead of the pack and of equal or greater value to Davos are its world class medical institutions and its international status in playing annual host to world leaders in staging the World Economic Forum. The Davos local authority, which includes the town, outlying villages and countryside, is the second largest area within Switzerland, larger even than the city of Zurich. The many facets of this remarkable resort mean that tourist office marketing slogans such as Europe's most extensive alpine resort are not exaggerations. The town spreads along the valley floor for several miles with the more concentrated western section named Davos Platz, and the eastern Davos Dorf. The architecture is generally of grand design rather than being particularly picturesque, however the whole is attractive in its way, and the scenery around certainly spectacular. The main off-slope leisure facilities are nicely placed between the two halves and the major access lifts to the ski slopes are also well spaced throughout the town. Davos's growth as a mountain sports resort developed out of its existing status as a leading health resort in the late 19th and early 20th century. In years gone by Davos provided tuberculosis sufferers with sanatoriums, but today there are highly specialised institutes providing, in particular, therapy for allergies, respiratory illnesses and dermatological complaints. At the turn of the last century up to 700,000 overnight bookings a year were being registered from visitors mainly for the health benefits (this was an increase on an annual figure of two visitors in 1866). The resort's importance as a pioneer in winter sports cannot be under stated however: Sir Arthur Conan-Doyle, creator of Sherlock Holmes, is thought to be the first Scot to travel on skis, travelling from Davos to Arosa and the world's first T Bar lift was installed at Davos in 1934. The longest possible descent in Davos is 12km7 miles long. If you want more than just 'vital statistics' to prove a ski resort takes its sports seriously, then consider that Davos opened Switzerland's first Sport high school in 1997. There top young athletes can study for academic excellence and sporting brilliance simultaneously, in disciplines including skiing, ice hockey, figure skating, snowboarding and golf. The 310km (190 miles) of ski trails above Davos are divided in to six areas (Parsenn, Pischa, Jakobshorn, Rinerhorn, Madrisa and Gotschna), some of them lift-linked. The Parsenn area is the largest and most popular of the ski sectors. It is lift-linked to the neighbouring resort of Klosters, a traditional favourite of the British royal family. On the other side of town there are more ways up the Jakobshorn, the resort's fun mountain most popular with 'boarders. At the bottom of the mountain snowmaking covers the Bolgen nursery slopes. Most of the ski areas are reached by funiculars or cable cars with the vast majority of the skiing being above the treeline at 1800m. Many of the trails are red and blue but experts will find several off-piste routes to entertain, including an 12km (7 1/2 mile) descent to Kublis and the chance of skiing over to Arosa in the footsteps (or should that be ski tracks) of Sherlock Holmes' creator over a century ago. On-piste blacks are unusually on the lower sections of the mountain, through the forests, as they are steeper at the bottom than the top. Cross country skiers are also well catered for with 75km (47 miles) of trails. Live pictures (updated hourly) from resort cams, as well as official snow depth reports and forecasts are available on Davos's web site. One of the world's leading snowboarding destinations, with three snowboarding schools, five snowboarding hotels and four fun parks, Davos has held the Snowboarding World Championships recently and stages World Pro Tour events. It has joined in the Top Snowboard Resorts Club with Ischgl, Madonna di Campiglio and Val d'Isere and offers classes in snowboarding at Switzerland's first Sports High School. The best boarding area up on the mountain is on the Jakobshorn where there is a funpark with plernty of rails and a quarterpipe. There are also two monster pippes (210m long, 5.5m high, 18m wide at a 17 degree pitch). There are more fun parks on Parsenn, Pischa, Madrisa and Rinerhorn plus a boardercross course on Parsenn. Usual opening is mid November, and usual closing is Late April. NOTE:- Lift and Piste openings are always subject to Snow Conditions in Davos. Davos is able to make snow, on 15km9 miles of ski runs,. The 38 ski lifts of Davos are able to uplift 64,400 skiers and snowboarders every hour. Davos is in the Swiss Alps in Prättigau/Davos, Grisons, Switzerland. The nearest airports to Davos are St. Gallen-Altenrhein, Friedrichshafen and Zurich. There are eight airports within three hours drive. The Webcams in Davos are not always up-to-date. Please check the date on the image to ensure you are seeing current snow conditions. Davos offers evening entertainment to cater for virtually all tastes and can be very lively with around 20 night-spots open beyond midnight. They range from sophisticated piano bars such as that at the Central Sporthotel to hi-energy discothèques. The Cabanna Club 'power-disco' gives you the opportunity to burn off all that excess energy after a hard day on the slopes and if you don't fancy sleeping at all then the Express Bar is normally open through to 7am. Also on offer are folklore evenings, theatre, cinema, concerts and sleigh rides. A new casino opened in the Hotel Europe in the town centre in 1995 where there is also a popular piano bar open into the small hours. Ski Areas linked by ski lift to Davos. Other popular Ski Areas near Davos. 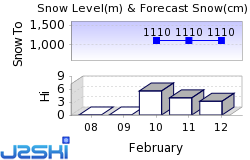 For current snow conditions, see our Davos Snow Report. Want to ask about skiing and snowboarding in Davos? Or contact Davos Tourist Office. Note :- The information on J2Ski concerning Davos, where not clearly factual, is opinion only and is neither definitive or exhaustive.